Does this make a difference? For more than 20 years it has been considered the most reliable source for theatre music among singers and singing actors of all ages, from high school students to top working professionals. You bet: These accompaniments transform a song you may have seen or heard from a lousy sheet music arrangement, into a work of performable Art. Includes both recent shows and a deeper look into classic musicals. Includes both recent shows and a deeper look into classic musicals. Geraniums in the winder -- Chess. This is the moment -- Jesus Christ Superstar. The selections are presented in their authentic settings, excerpted from the original vocal scores. I believe in you -- Jekyll and Hyde. The Tenor edition features 36 songs, including: Anthem - Any Dream Will Do - Breaking Free - Close Every Door - Giants in the Sky - Here I Come - I'm Calm - Not While I'm Around - On the Street Where You Live - Something's Coming - That Face - When She Loved Me - Younger Than Springtime - and more. Sweet Mystery Of Life, Before I Gaze At You Again, Christmas Lullaby, Feelings, From Chopin To Country, Getting To Know You, The Girls Of Summer, How Many Tears? I met a girl -- Cabaret. The selections are presented in their authentic settings, excerpted from the original vocal scores. Boy for sale -- On a clear day you can see forever. . Many of the songs are found in no other collections. Songlist: You And I, Almost A Love Song, Take Me As I Am, Barcelona, All I Ask Of You, Who Will Love Me As I Am? The book features authentic editions of each song in the original keys. Old devil moon -- Flower drum song. The selections are presented in their authentic settings, excerpted from the original vocal scores. Young and foolish -- The secret garden. As in all previous volumes in the series, all songs are in authentic versions in the original keys,with notes about each show and song. Songlist: I Am The Very Model, This Is The Life, Marian The Librarian, Soliloquy, Ol' Man River, Some Enchanted Evening, C'est Moi, Camelot, September Song, Do I Love You Because You're Beautiful? All songs are written in the original keys, in authentic voice with piano accompaniment. The selections are presented in their authentic settings, excerpted from the original vocal scores. High flying, adored ; On this night of a thousand stars -- Fanny. This holds true for the entire series. Anthem ; Where I want to be -- The desert song. The book features authentic editions of each song in the original keys. There are no song duplications from any of the previous volumes. Sit down you're rockin' the boat -- How to succeed in business without really trying. Once upon a time today -- Carousel. Tonight at eight ; Tango tragique ; She loves me -- The student prince. Features of the series include: authentic editions for each song in the original key; songs chosen particularly for each voice type; selection of songs from classic and contemporary shows; includes notes about each show and song. The songs have been carefully chosen for each voice type and are culled from a wide selection of classic and contemporary shows. Songlist: Adventure, Ah, But Underneath, Someone Like You, Don't Call Me Trailer Trash, Heads Or Tails, Teaching Third Grade, Who Will Love Me As I Am? Includes both recent shows and a deeper look into classic musicals. This series is the world's most trusted source for great theatre literature for singing actors. Volume 6 also explores a deeper look into repertoire from classic shows. The book features authentic editions of each song in the original keys. The songs have been carefully chosen for each voice type and are culled from a wide selection of classic and contemporary shows. The book features authentic editions of each song in the original keys. Includes both recent shows and a deeper look into classic musicals. Publisher does not accept liability for incorrect spelling, printing errors including prices , incorrect manufacturer's specifications or changes, or grammatical inaccuracies in any product included in the Musician's Friend catalog or website. Songlist: I Am The Very Model, This Is The Life, Marian The Librarian, Soliloquy, Ol' Man River, Some Enchanted Evening, C'est Moi, Camelot, September Song, Do I Love You Because You're Beautiful? The E-mail message field is required. Lucky in love -- Grand Hotel. The selections are presented in their authentic settings, excerpted from the original vocal scores. What's cool for the solo instrumentalist? 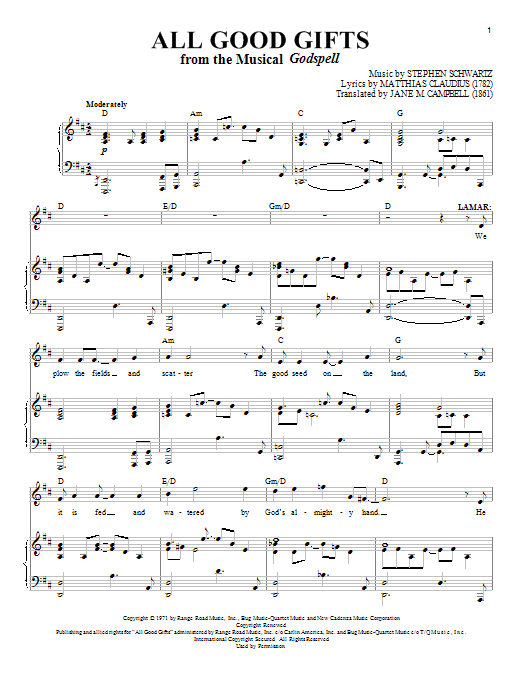 In most cases, the songs are presented from their most authentic source, taken from the complete vocal scores, in the original key, with the original piano accompaniment arrangement of the orchestral score. She wasn't you -- The phantom of the Opera. The songs have been carefully chosen for each voice type and are culled from a wide selection of classic and contemporary shows. A substantial section of information about the shows and the songs is included. Songs from Aida, Cabaret, Chicago, Guys and Dolls, Hairspray, The Last Five Years, The Phantom of the Opera, The Producers, Show Boat, Spamalot, Wicked, and other shows. 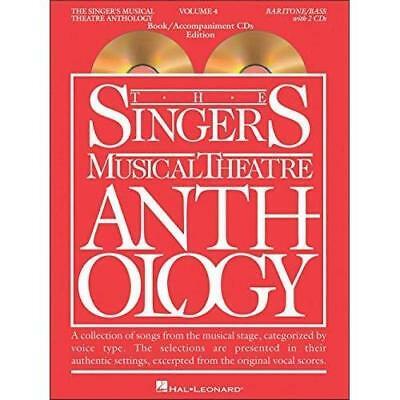 Songs especially good for auditions have been chosen from Volumes 1-5 of The Singer's Musical Theatre Anthology and edited to 30-40 second 16-Bar excerpts. Bring him home -- Miss Saigon. The songs have been carefully chosen for each voice type and are culled from a wide selection of classic and contemporary shows. The selections are presented in their authentic settings, excerpted from the original vocal scores. Sources for all songs in the series are the complete vocal scores, with the accompaniment a reduction of the orchestral part. 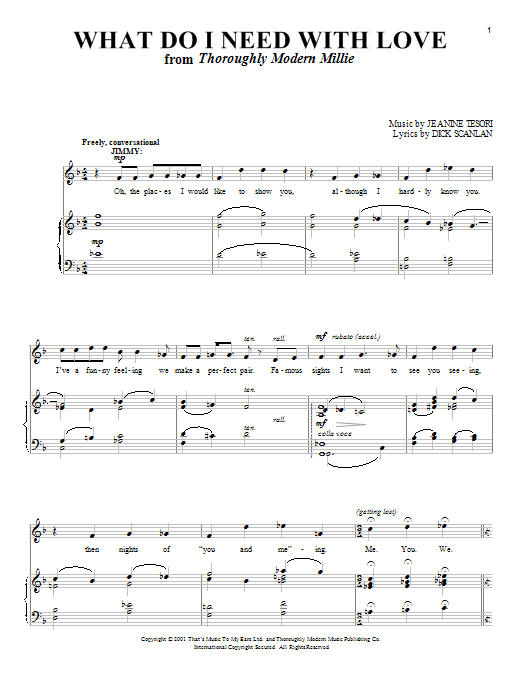 I will follow you -- Les misérables. 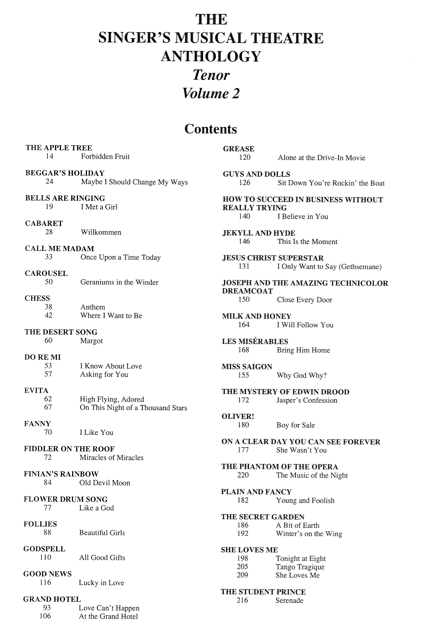 Titles include: Castle on a Cloud; Day by Day; Honey Bun; I Know Things Now; I'm Not That Girl; In My Own Little Corner; Mama Who Bore Me; Memory; On My Own; Popular; Someone Like You; Stepsisters' Lament; What I Did for Love and more! Close every door -- Milk and honey. The selections are presented in their authentic settings, excerpted from the original vocal scores. The music of the night -- Plain and fancy.